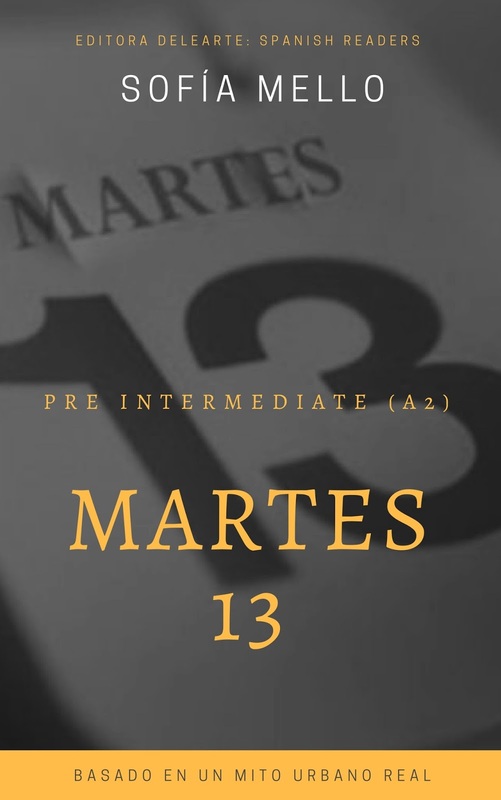 "Tengo un martes 13" for Pre Intermediate students (level A2, also known as Plataforma in the Common European Framework of Reference for Languages) is the 3rd book of Editora Delearte's Spanish readers series "Based on true urband legends". You need to know Present Simple (regular and irregular verbs), immediate future (as in “I am going to travel= voy a viajar), gerund and basic vocabulary. We've translated some words and expressions from the Argentinian Spanish to English (and Portuguese) that you probably won’t find in a dictionary but if you have any doubts regarding a word you don’t understand (and this has not been translated), you can look it up in a free Spanish- English dictionary available for download (in our books, you'll find a short guide to download it in your device). Verónica Soto is a regular persona with a regular life. But on a Tuesday 13th, considered a day of bad luck in the Hispanic culture, she starts the day putting her left foot on the floor first which is another bad luck sign. From that moment until the end of the day, Verónica will try to go through a series of bad luck events that will test her patience and her spirit. In this fun story, Verónica will experiment all the superstitions around Tuesday 13th, learning that they may be more than superstitions. *Levantarse con el pie izquierdo. Cuentan las personas que a veces, hay personas que olvidan las reglas [...]"
Our books aim to make language practice easy and fun with engaging stories. So if you enjoy reading and want to learn Spanish, this is your book!